Although eventually heavily bombed in WWII and finally demolished in 1959, Schloß Monbijou could have been destroyed in 1848 were it not for the brave action of a young Prussian officer. I believe this account is reasonably accurate; the reported speech is a mixture of the contemporary eyewitness account in the Deutsche Wehr-Zeitung (Jahrgang 1. 1-90) from 1849 and von Reibniz’s own account in Berlin 1848 by Karl von Prittwitz, commander of the troops in Berlin at the time, whilst I’ve also used a later and somewhat clearer military account from the 1890s: Die Straßenkämpfe in Berlin am 18. und 19. 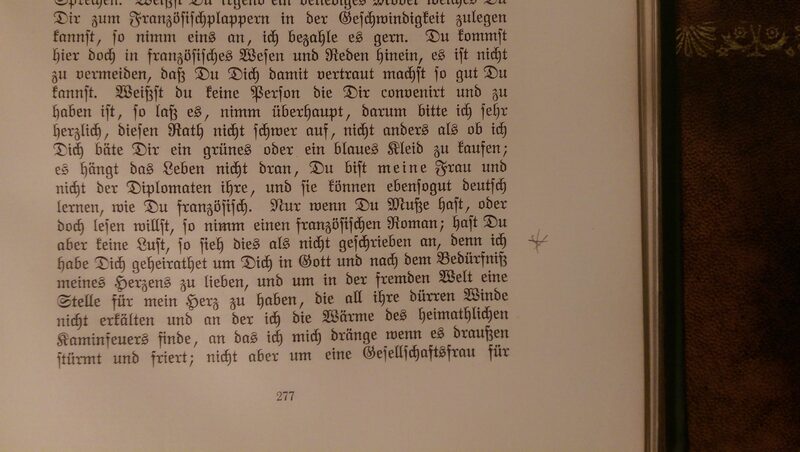 März 1848 by Hubert von Meyerinck to help clarify places and times. All from the original German, so far I’ve found no reference to the incident in English. It’s 13:00 on the 18th March 1848. Amid the widespread disturbances occurring all over Berlin 36 year old Premierleutnant Eugen von Reibnitz, commanding 40 artillerymen and two junior officers of the Garde-Artillerie, is ordered from Oranienburger Tor, where the artillery barracks had already been set ablaze, to defend Schloß Monbijou, once a royal palace and now home to the Museum for National Antiquities. The building is guarded at the time by a small force of ten Grenadiers and a junior officer from the Kaiser Franz Regiment, together with two dragoons. The artillerymen had been trained on the previous three evenings at Monbijou by von Reibnitz in the use of their outdated weapons, for which they have no ammunition. The Grenadiers have decent weapons and ammunition however. Was hat Preußen für Deutschland geleistet? 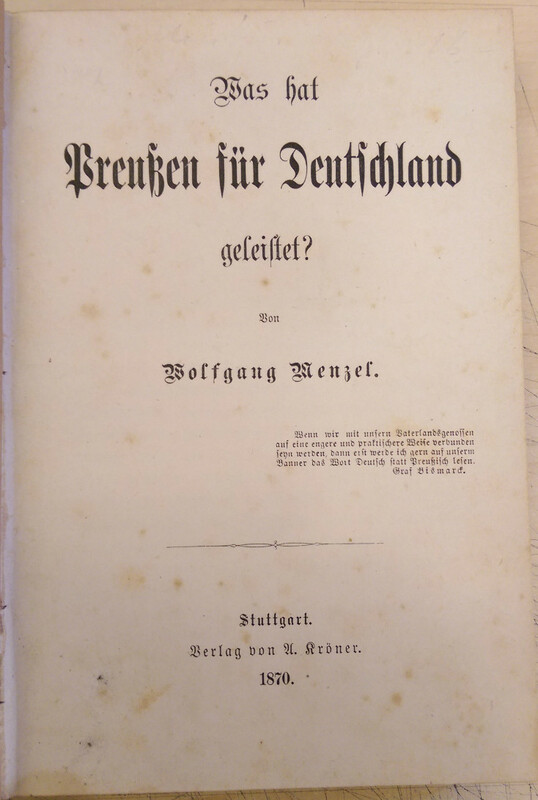 New aquisition received today; ‘Was hat Preußen für Deutschland geleistet‘ by Wolfgang Menzel, Stuttgart 1870. In fairly good condition, cost around 20 Euro, I’m looking forward to reading it. It might be interesting to see at what point in his varied political opinions this was written, conservative or liberal. What prompted me to post however is the handwritten inscription in the front cover; it appears to be in Latin script although I can’t read the first line, but the second line clearly says: “Kreigsjahr 1918”. Obviously the writer would have most likely known by this point that the war was lost, so given the subject matter of the book and the fact that it was written just before the unification of Germany I wonder what thoughts were going through the writers’s head? I doubt they were happy ones.